At the intersection of biology, medicine and computer science, bioinformatics and biomedical computing involves all aspects of the analysis, management, and visualization of information in biomedical applications. 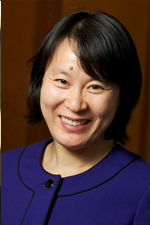 Research Interest: Professor Xiuzhen "Susan" Cheng's research spans the broad area of wireless networking and mobile computing. She is currently working on a few projects that tackle the challenges of efficient network resource management, role-based access control and secure communications, dynamic spectrum access, and economically-robust/secure auctions. Professor Cheng is also interested in applying wireless networking to public health. She has been working on target vaccination based on social networks, security and privacy concerns in wireless body area networks, and safety enhancement via vehicle networks. Research Interest: Professor James Hahn's Institute for Computer Graphics and the Laboratory for Advanced Computer Applications in Medicine is engaged in research primarily on the use of simulation, reconstruction, and visualization for medical training, planning, and computer guidance. Technology from computer graphics and vision are used to generate 3D representations of anatomies, registered, and visualized. Current projects include a simulation, analysis, and training system for neonatal endotracheal intubation procedures, a visualization system that takes into consideration the different needs of the different medical specialties, and non-rigid registration for surface reconstruction. 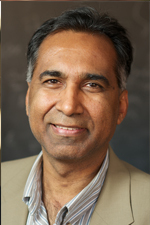 Research Interest: Professor Rahul Simha has broad ranging research interests. He is happiest when exploring outside-the-box ideas, especially in collaboration with others. His current research interests include: cybersecurity (especially at the hardware-software interface), embedded systems and architecture, biological networks and complex systems, distributed control, STEM education, and algorithms that underpin online learning.